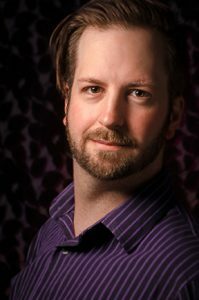 Ryan J. Zirngibl is delighted to be the Resident Scenic Designer and Technical Director for Arrow Rock Lyceum. Ryan has designed over 150 productions and worked on hundreds more. Lyceum guests have seen many of Ryan’s designs over the last eight years including A Christmas Carol, Million Dollar Quartet, The King and I, Fiddler on the Roof, Boeing, Boeing and many more. Highlights of his career include the Off-Broadway premier of Lucky Duck with composer Henry Krieger(Dreamgirls) and writers Bill Russell (Sideshow) and Jeffery Hatcher (Emma, Tuesdays with Morrie), a series of Puccini Operas for the Ukraine National Opera, scenic art on the Lionsgate film You’re Next, and the world premier of Master and Margarita with Honorary Associate Artistic Director of the Royal Shakespeare Company, Barry Kyle and A-list screen writer Ron Hutchinson. Ryan is also proud to be a Co-Founder of Bellenwhissle Productions, a Theatre for Young Audiences company based out of Kansas City that creates site-specific interactive shows around the Midwest based on several literary classics. Ryan would like to thank all of the Lyceum family whose tireless work has made this production possible, it is an honor creating with each and every one of you! For more information please visit www.ryanjzirngibl.com.